BelaUI is based on BeeUI and consists of a series of modifications to the original Age of Conan Graphical User Interface. Some of the mods are linked to each other while others can be applied independently. Below I'll present the various mods explaining what they do. These bottom bars are based on BeeUI and adds more buttons to your disposal in a minimalistic fashion. The default one will give you access to the following buttons which you can bind to keys in your Controls: Action Button 1-13 including alt buttons, Left Action Button 1-6, 1st Extended Action Button 1-20, 2nd Extended Action Button 1-20 and 6 extra slots. The widescreen one will give you: Action Button 1-13 including alt buttons, Left Action Button 1-6, 1st Extended Action Button 1-19, 2nd Extended Action Button 1-19. The Zizzo version adds 1st Extended Action Button 1-7 to the default button layout. Removed the decoration around the minimap and increased the size. Removed the slider and moved the buttons and indicators to the right. Removed the background shade from the clock to make it transparent. Removed the top decoration bar. Changed the number of buff icons displayed and always keep them big. Inspired by the map in FDSUI. 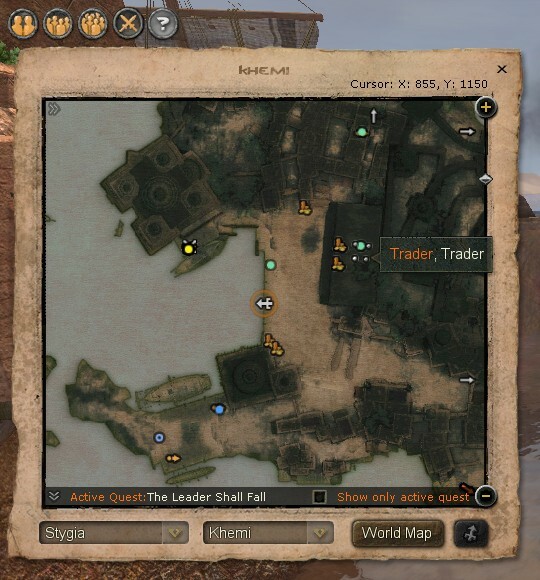 This worldmap is borderless and positions all UI elements inside the map. Tired of navigating back and forth in your bag. 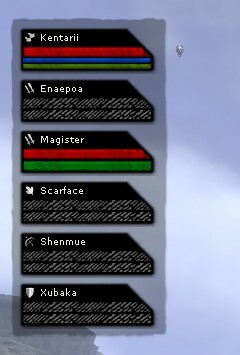 This mod shrinks the icon size and gives you 6x9 slots on one page instead of 4x6 slots. 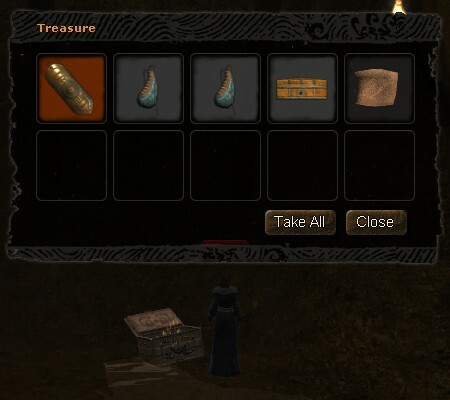 Scaled down the loot window so that it takes up less space on screen. The standard grey text color is pretty hard to read, so this is just a simple update to brighten up the text. 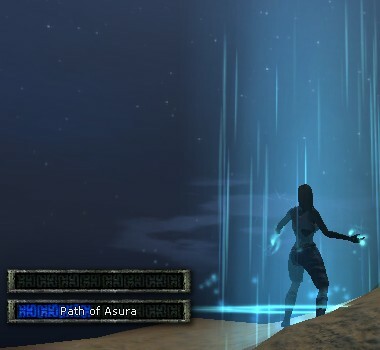 This mod replaces the brown timer bar with a cool blue color instead. Changed the default layout of the CSI from vertical to horizontal and removed the borders on each side. The highlight color has been changed to a cool blue instead of the default brown. I've added 3 versions, 1 with the arrows, 1 with 123QE called "Alpha" and one with both 123QE and direction indicators called "Bravo". 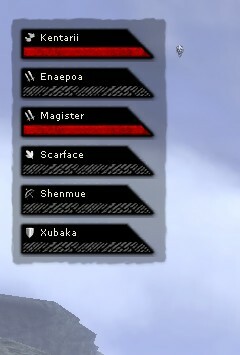 Changed the limits before the icons turn small in these two files to keep the debuff icons big. Show both friendly and hostile buffs for your target. Customized group/raid window which is more compact, based on Stonerune UI (big thanks to Nwardezir who let me use his stuff). 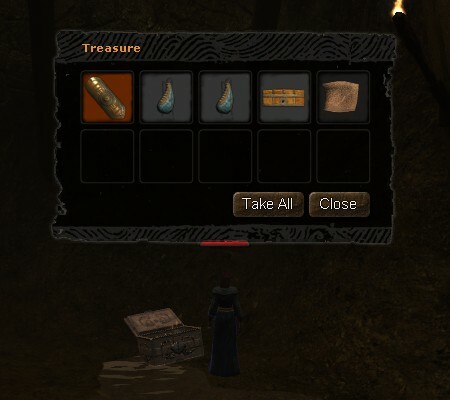 · Fixed text for "Close" button for loot bag. · Re-added icons for round help buttons which Funcom had removed from default gfx folder. · Added a custom BottomBar.xml by request of Zizzo. · Updated xml to revision 62707. · Updated xml files for CSI and paths. · Updated xml to revision 63748. · Updated xml to revision 64287. · Added 3-row bottombar version. · Updated xml to revision 64619. · Added setup-script for BelaUI. · Added larger icons for Triple version of bottombar. 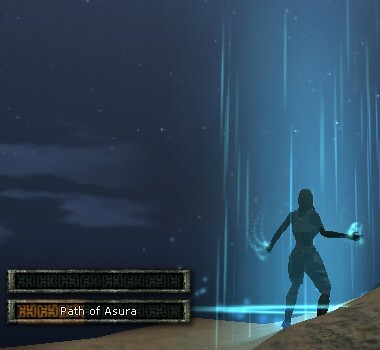 · Update xml-files to AoC patch 1.05. · Fixed bug in transparent message. · Added a config-script in addition to the setup script. · Added choice32.exe for 32-bit platforms without native choice.exe support and x86 versions of the setup/config scripts. · Update xml to revision 67221. · Added a new version of BottomBar Triple with 6 icons less to make it more narrow. · Added a new version of BottomBar with 4 rows called Quad. 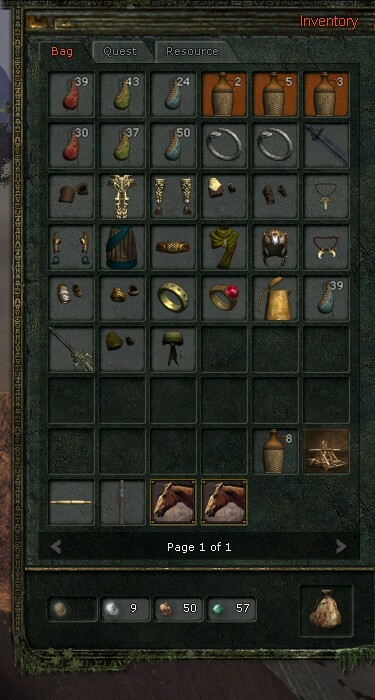 · Updated InventoryView to display tokens button. · Update xml to revision 67064. · Updated colors for new Renown text messages. · Update xml to revision 67111. · Added button for guild renown. · Updated colors for new Quest indicator. · Update xml to revision 73724++. · Update xml to revision 83844. 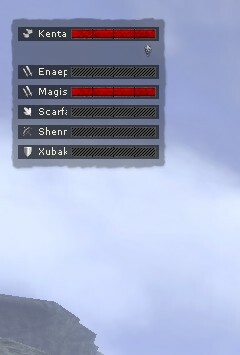 · Add claim button to HUD. · Add Perk-bar to HUD. · Update xml to revision 84078. · Update xml to revision 90535. · Fix pet-bar for assassin. 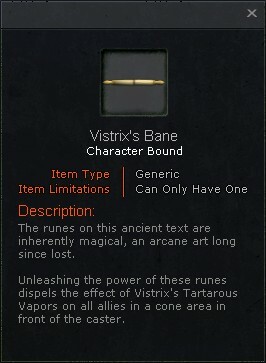 · Change icon-size in inventory to 47 pt. 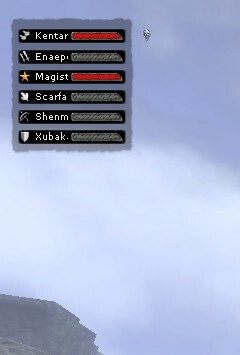 · Increase size of debuff icons above health bars. · Update xml to revision 84258. · Added minimalistic worldmap inspired by FDSUI. · Add BelaUI.txt script to toggle flash utils and other settings. · Update xml to revision 149461. · Update xml to revision 116111. · Add button for Playfield Access. 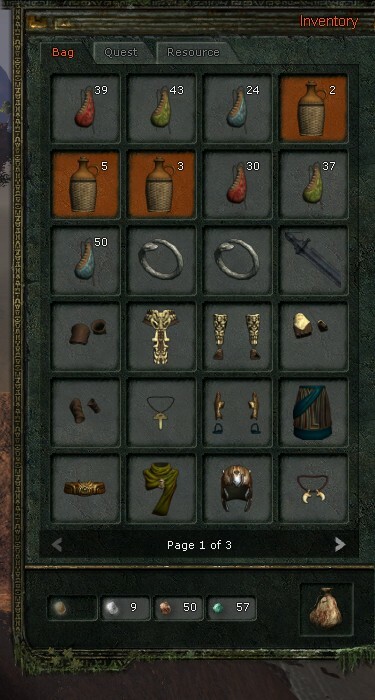 · Add new 8x11 inventory bag (thanks to baar-lun for suggestion to add bigger bag, 7x11 wasn't big enough for me though). 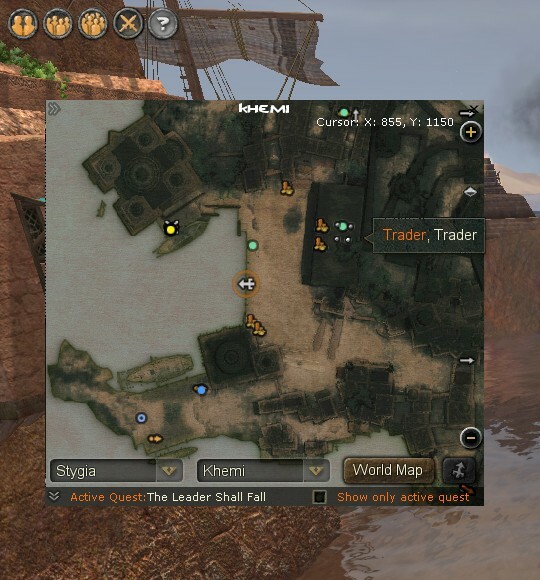 · Add border around minimap (thanks to baar-lun for the gfx and suggestion). 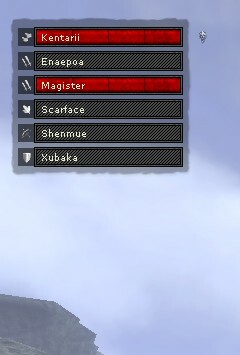 · Add new group/raid window based on code/gfx from Stonerune (big thanks to Nwardezir who let me borrow his code/gfx). · Update xml to revision 147666. · Add locked/unlocked playfield to map legend. 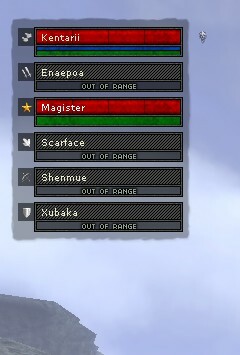 · Update inventory view buttons. Simply download the zip-file to your computer and extract it into the "Age of Conan\Data\GUI\Customized" folder. Copy BelaUI.txt to "Age of Conan\scripts" folder. That's about it. Start the game and see how you like it, or type "/reloadui" if you already were ingame when you extracted the file. I recommend installing Age of Conan QS.NET to keep your xml-files automatically up-to-date. If you don't like my default settings for the UI, you can tweak which mods you want to use or switch between various styles, by simply running the config script "BelaUI-Config.bat". A good tip is to have this webpage up in the background when running the setup-script so that you see what the various options are. Page generated in 0.083 seconds using 1 queries, consuming 1404.805 kB of memory.